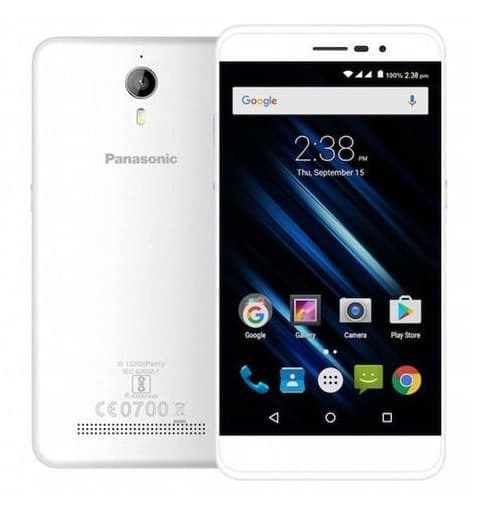 Panasonic, on Thursday, introduced a new smartphone – P77 at a press conference. The phone is just another variant which comes under the P series model of Panasonic. With the new Android OS and a decent camera specification, the phone will soon be available for sale at a price of Rs 6,990. Panasonic P77 has a dimension of 143 x 72 x 7.6 mm. It has a 5 inch touch screen display which provides better resolution content. With a slim body and a good form-factor, the phone comes covered in a plastic body. It is available in two colour variants – namely grey and white, of which, the grey one looks the best. It has an 8 MP primary camera and a 2 MP front facing camera. The primary camera is supported by an LED flash for capturing good quality images even in low light. The secondary camera is ideal for capturing selfies and group pictures. It has a 1 GHz processor supported by 1 GB of RAM. The phone has an internal memory of 8 GB and is expandable up to 32 GB (micro SD). Connectivity features are also pretty decent as it supports Wi-Fi, Bluetooth, GPS, etc. It has dual SIM slots, of which, only one supports the 4G functionality. Powered by the latest Android 6.0.1 Marshmallow OS, the phone requires a 2000 mAh battery to cover all of its tasks. Although the phone has a decent OS and camera spec, it lacks under the memory and RAM specification. The battery is also less powered to stand in the long run. Sporting a 4G VoLTE at a price of Rs 6,990 is the only good thing that this device has. It will be tough for this device to stand a chance in the Indian smartphone market among the likes of Micromax, Lava, Jio, etc. However, introducing a cheap budget 4G smartphone during the festive season looks like a plan and may boost some sale of this average standard device.